Over the past few months I’ve been working two internships in my hometown of Toronto, Canada; one with Heritage Toronto, and the other with FGMDa Architects. These internships have provided me with a unique perspective on the public and private sector opportunities that exist within historic preservation, as well as a chance to apply what I’ve learnt over the past year at Columbia to real world projects. St. Lawrence Hall, home of Heritage Toronto. Image from Wikimedia Commons. 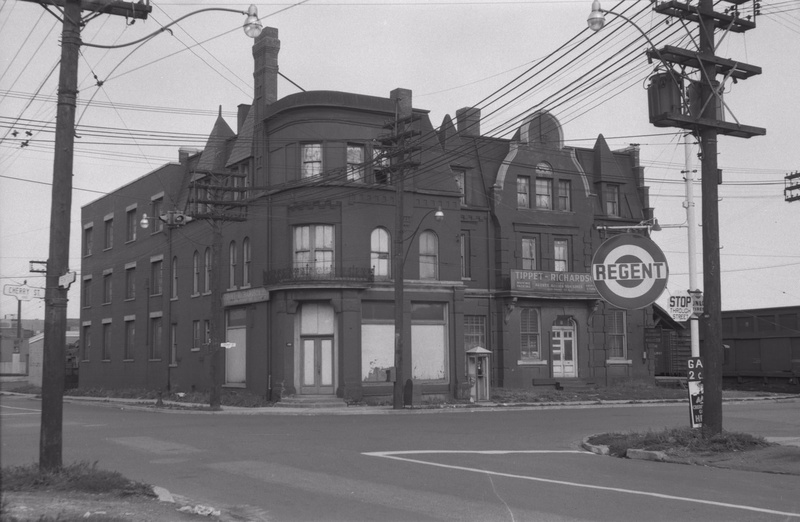 Heritage Toronto is an arms-length non-profit agency of the City of Toronto that works to promote Toronto’s diverse history. I was hired on as the State of Heritage Report Researcher, spearheading research and consultations related to a report being issued following municipal elections later this year. Community consultations are an integral part of the research, and I’ve been able to participate in the organization of consultations in each of Toronto’s 4 community council districts. These consultations are integral in pulling community organizations together, to learn about what projects they have initiated, and what changes they’d like to see at City Hall under the next administration. I’ve also been working on the upcoming all-candidate mayoral debate, with questions being informed by research and community consultations. 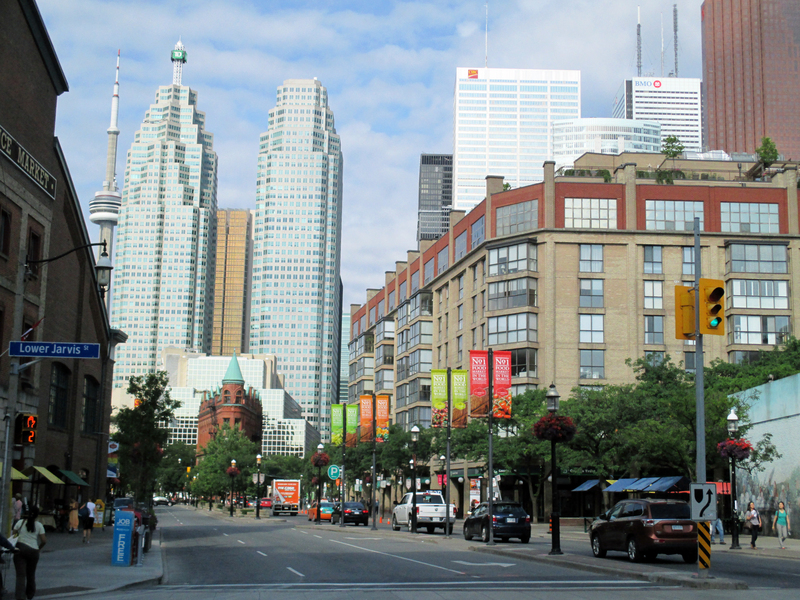 In addition to Heritage Toronto, I have been working as a Perservation Intern at FGMDa Architects. 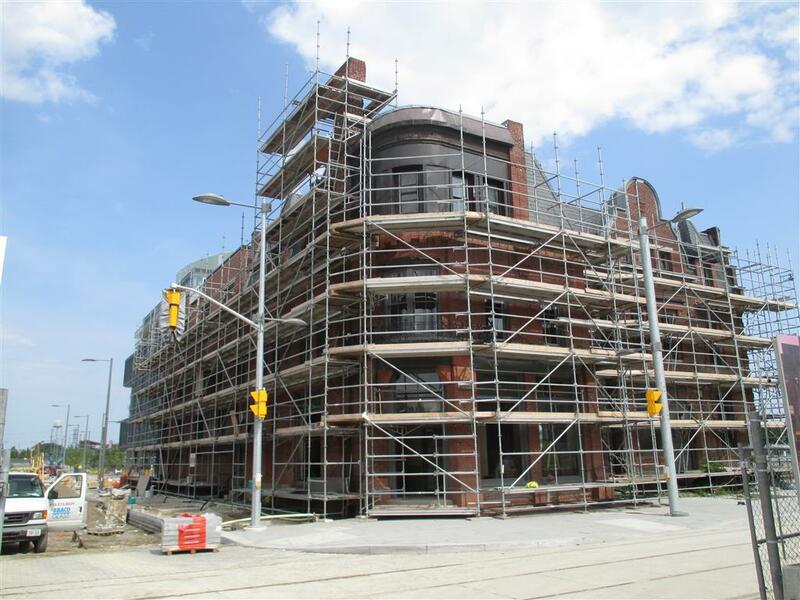 My main responsibilities have been to help with the final stages of a heritage conservation district study for the St. Lawrence neighbourhood, and the exterior restoration of a heritage building in Toronto’s redeveloping West Don Lands neighbourhood. 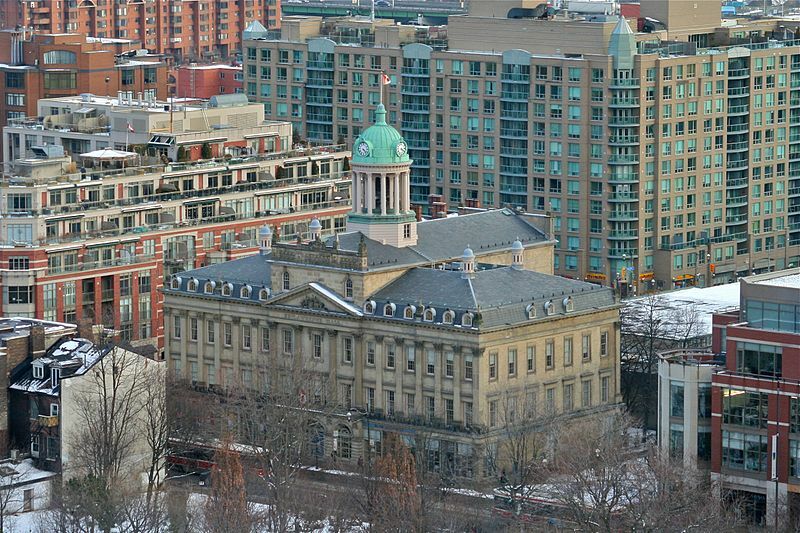 The St. Lawrence Heritage conservation district study includes close to 400 properties, ranging from early 19th century residences to contemporary skyscrapers. I’ve been reviewing building surveys undertaken by volunteers, and assisting with final edits to the report prior to its being delivered to the City, after which it will be used to inform an HCD Plan for the neighbourhood. 409 Front Street is a project that includes the restoration of the brick and stone façade as well as the wood and steel frame windows. The building has a rich history: it was constructed as a two-room schoolhouse in 1859 with an addition in 1869, converted into a hotel in 1891, a factory in the 1920s, and studio spaces in the 1970s. I’ve been assisting with surveys of brick repair, deficiency reviews, and the issuing of reports as the project nears completion.